That sounds very good Dennis – and answer to the PIA issue and it’s own shim, very good indeed. Not too badly priced either. 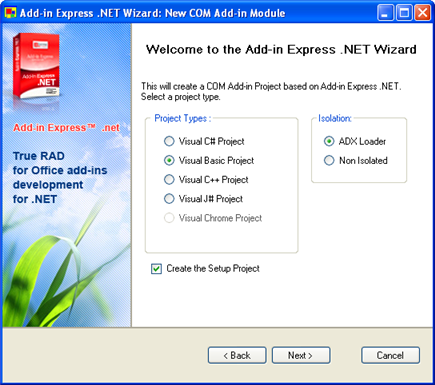 Yes, the ROI on buying a license of Add-in Express .NET should be easy to get within a short time. This really does look very, very nice. If it works as smoothly as they make it appear, this could be worth it’s weight in gold. From my own work I can confirm it works as expected. 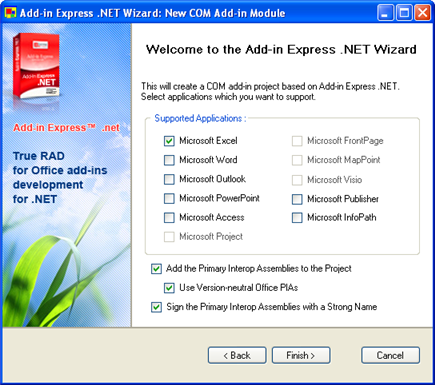 Later on I will make available an add-in based on Add-in Express.NET. 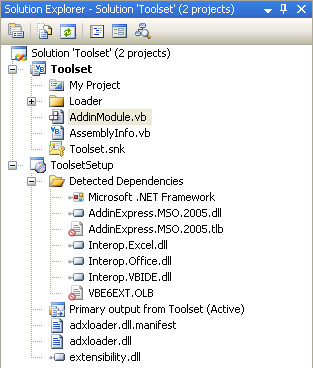 Actually, it will be a tool to retrieve connection strings to databases via .NET’s wizard as well as via the DataLink wizard. 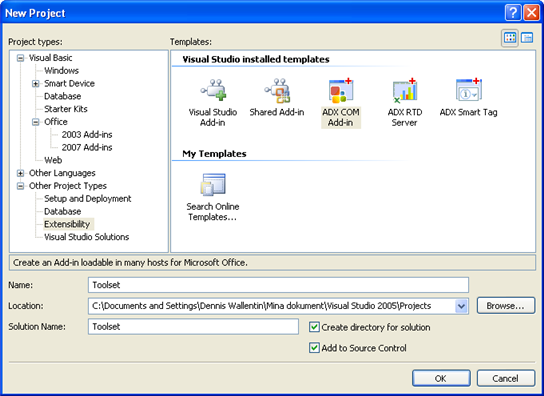 Looks so interesting I’m tempted to even install VS.NET on my machine and start fiddling.